Arcane is one of my favourite restaurants in Hong Kong, and Shane Osborn one of the city’s most talented chefs. I was therefore thrilled to receive an invitation from Shane and Jason from Waves Pacific (distributors of premium foods) to try the new truffle menu, featuring Australian black truffles (Tuber Melanosporum) from the country’s leading supplier, The Truffle & Wine Co.
What enticed me even further was the six-course tasting menu is totally vegetarian – I was curious to see what Shane would create. Arcane is noted for its meat-free menu option on Mondays (available upon request other nights). 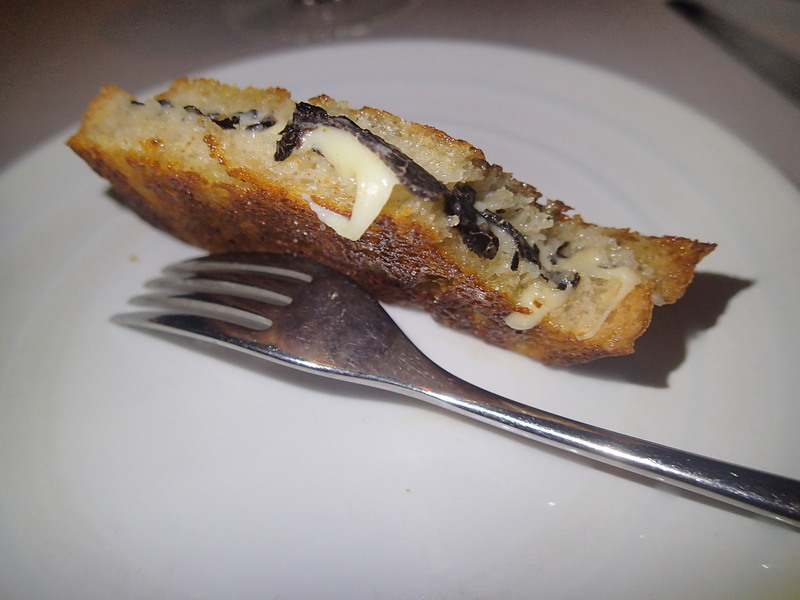 When I wrote about Shane’s truffle menu last year he told me of his favourite guilty pleasure (and how to make it), when it came to truffles – a truffle toasted sandwich, which is exactly how we began the dinner. Totally fabulous! Lashings of premium butter, a good amount of Comte and a generous amount of shaved truffle. 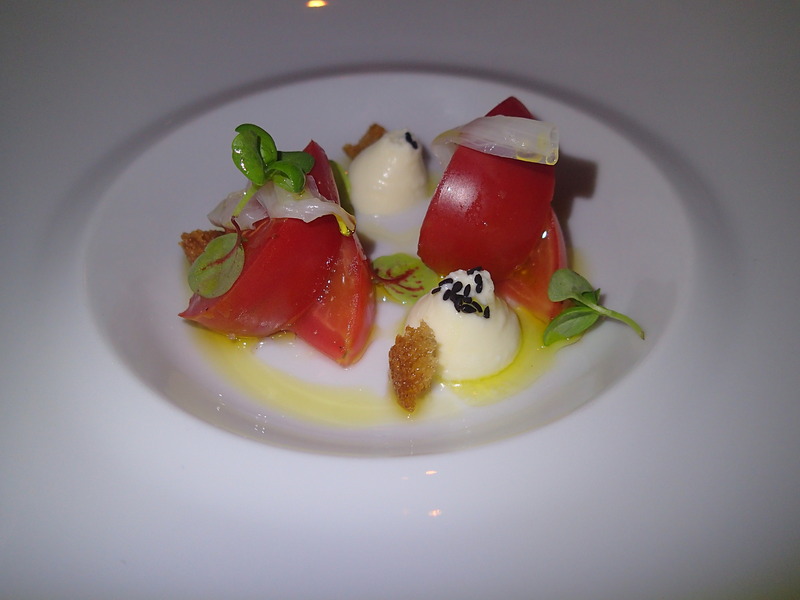 Intentionally, and for a variety of reasons, not every course features truffle, such as the next dish of Japanese tomato with soft goat’s curd, leek, onion seeds and marfuga olive oil. In this case, the dish refreshed the palate. 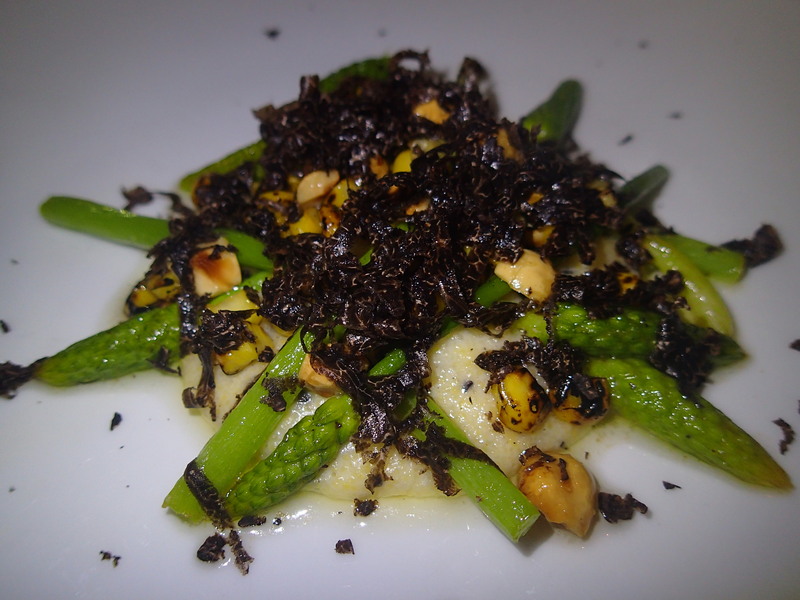 The visually stunning soft polenta with wild asparagus, charred corn, hazelnuts and truffle was a hit-and-miss dish for me. While I loved the vegetables, the textural and taste variety, the counter of the nuts, and of course the truffle, I found the polenta a bit bland. I have had the sautéed potato gnocchi on every visit to Arcane and am always thrilled to see it on the menu, it is always delicious. 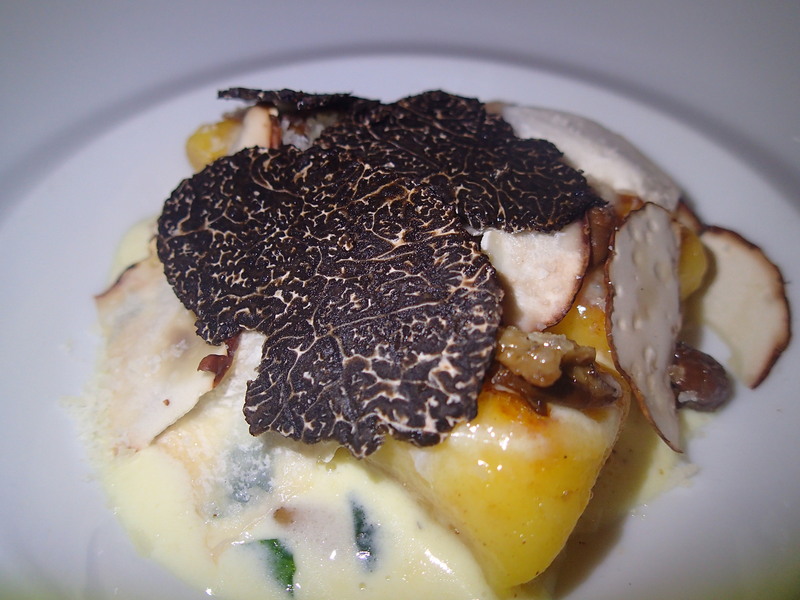 On the truffle menu the dish is sautéed potato gnocchi with fresh mousserons, pine nut, spinach cream, shaved raw porcini and truffle. 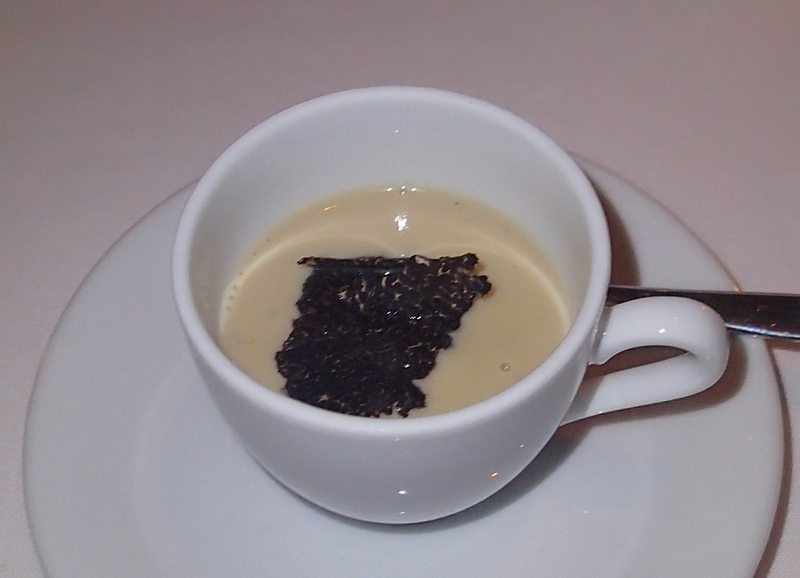 The cheese course included a 36-month Comte and Truffle Pont-l’Évêque. 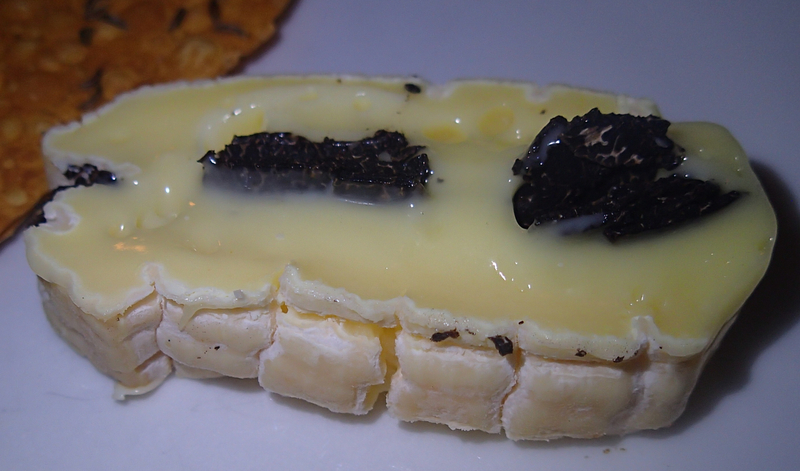 For me, the pungency of the cheese overwhelmed the truffle when eaten together and I ended up eating them separately. 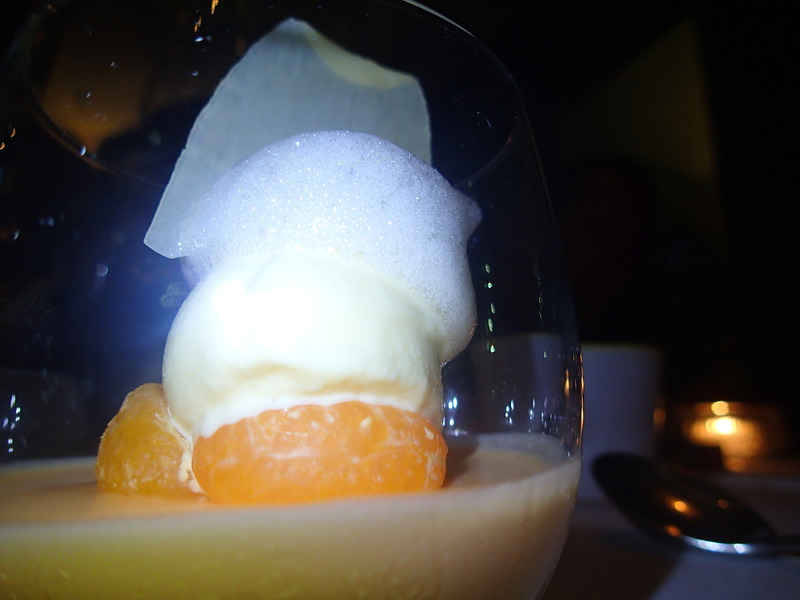 For dessert Shane brought the satisfying dinner (in which meat was not missed by anyone at the table) to a vibrant close with yuzu and lemon posset, mikan, mandarin and yoghurt ice cream and white chocolate tuile. If the truffle season goes as expected the menu at Arcane, subject to seasonal ingredient tweaking, should be available until mid August. Each course can also be wine paired, and the interesting selections chosen for us were perfect matches. Advanced bookings are highly recommended for this upon-request menu, available nightly. 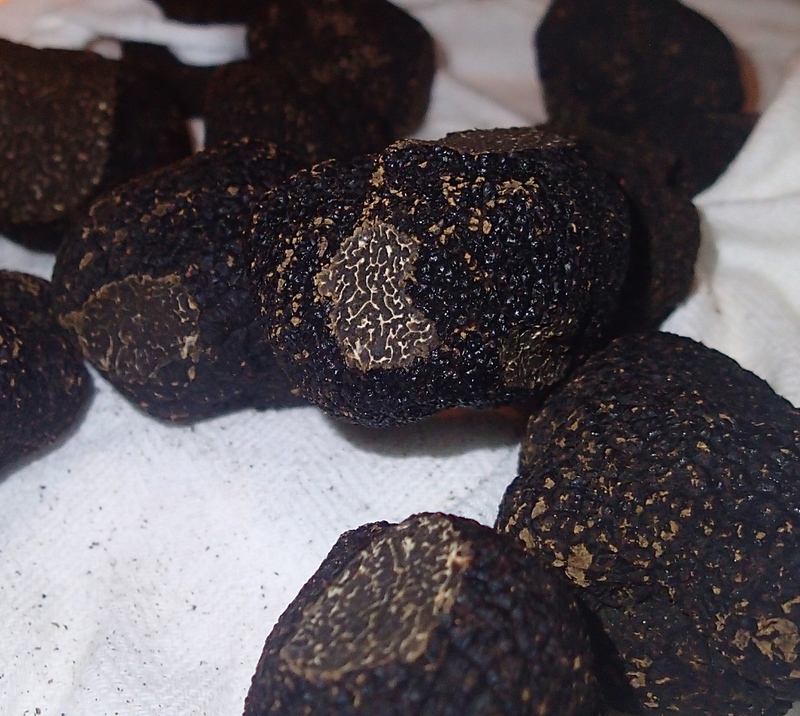 Also partnering with Waves Pacific on unique truffle menus are Belon, CIAK, Gia, Giando, Rhoda, Town and 22 Ships. Some of these restaurants have yet to introduce their truffle menu, so check with the individual restaurant for more details.